I purchased this book based on the stellar reviews and Amazon's own PR but found it a big disappointment. I know my point of view will be unpopular, but this didn't strike a note with me. I found it distracting to listen to the repeated warnings about the content, the background noise, the interspersing of music and sound effects, and inconsistent sound quality. They made it more dramatic, I felt, than need be. The story is tragic and dramatic enough on it's own. I don't need the music, the sound of a file cabinet being opened, etc. This felt far more Hollywood than true crime, I'm sad to say. I'm also disappointed by going on the "who didn't do it" loop. I was curious about motive and learning more about the killer himself but found details lacking. Some of it also seemed to be incredibly elementary and redundant. For example, we know the victim was killed yet we're told he put up a fight and lost. Perhaps true crime isn't my genre, I had the same frustration listening to McNamara's book too. Is this how true crime goes? I only downloaded this last night and was so excited to listen to it but it fell flat. I'm glad I didn't purchase McNamara's book either, it was fortunately a library loan. I wanted to like this book, I really did especially after seeing her and her Mom's beautiful story on Leah's show. I am sad to say this is going to be returned because it was excruciatingly painful to listen to and what was shared wasn't memorable to me. 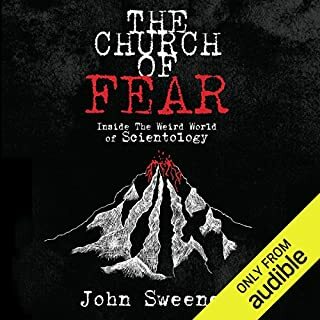 I adore all the ex-scientologists but cannot recommend this book or audiobook. This is a difficult review because these stories are compelling and need to be heard. 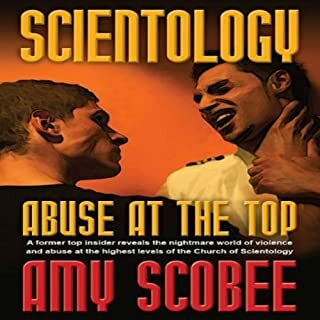 Having stumbled upon Leah Remini's book I have a developed an insatiable interest and compassion for those affected by such groups. As a person with a print disability I cannot express how much hearing the author's own voice means to me. No one knows the story better and it's a much more natural flow and enjoyable experience. I am touched by John's compassionate yet very strong and straightforward interviewing, asking questions we are all wondering and yet, he delves deeper. I had no idea what journalism experience he had prior to this and seeing the BBC's video online. Fascinating! This is a book I am keeping and have listened to at least four times now. I find his reporting heartfelt, hard-lined, honest and humorous. I have much more respect and admiration for what journalists go through as they follow the truth. I cannot imagine going through what he did in writing this! He has a strong, no nonsense voice, and, from what I hear, a heart of gold. Listening to this was exhausting! I kept hoping it would end. It was a monotonous, disjointed stream of "research", stories and other people's material. The use of a colonoscopy as an illustration regarding pain was the last straw. Patients are given pain meds, so they do not feel anything! (And patients are purposely given an amnesia-like drug so they do not remember the procedure. Source: Dr. Michael Greger). Why in the world would the author fabricate this? Like so many other points, this was a huge, inaccurate, weird stretch. I also did not care for his saying we too feel locked in, comparing us to the disabled man who was paralyzed for years. That felt like an inappropriate example and extremely disrespectful to those who actually experience this medical condition. The book felt shallow, the rah-rah type of self-help book that doesn't actually help anyone but the author's and publisher's bottom lines. 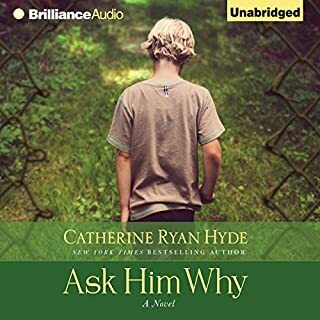 Maybe it was just me, I really did not like this book and I am grateful audible allows returns. As of this writing, on Amazon there are 526 reviews, 363 verified. You can draw your own conclusion from that. 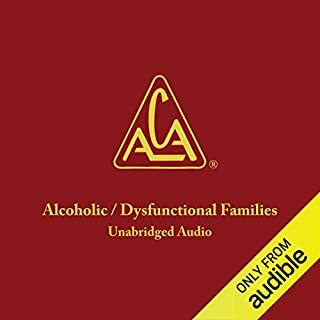 Hard hitting insight, information and experience about growing up in an alcoholic/dysfunctional home & healing. I adore Ani Pema and was really looking forward to this but am unable to finish it due to poor sound quality and not being able to make out what she's saying. 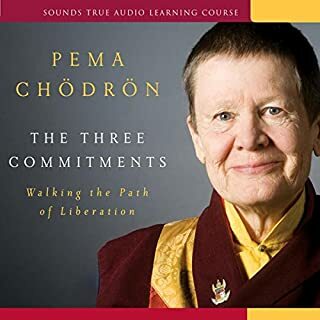 I'm really surprised because both Pema and Sounds True are usually spectacular. Clearly written by a Muskateer. 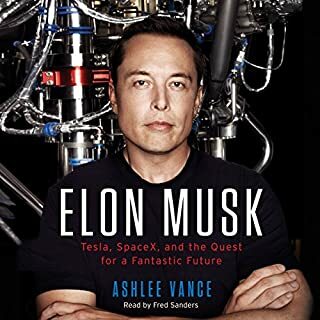 The entire book is so *hugely* slanted I wondered about incentive; a free Tesla, money, stock? It's unconscionable Musk isn't held accountable nor shows ANY remorse for being 'f-ing' verbally and psychologically abusive yet is lauded as though super human. Change the world, Musk? Really? Change yourself, stop perpetuating cruelty and abuse while posing as the helpless victim. Amazing and pathetic one man can cause so much suffering; employees are not captive prey! I am sorely disappointed as I LOVE biographies, but not this one. 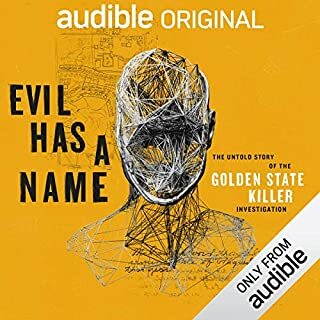 I bought the Audible version and will not make myself finish listening to it! 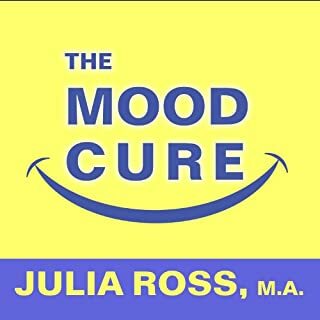 I am grateful Amazon has returns/refunds on Audible!!! Didn't get past chapter five due to the irritating, irrelevant details. Based on glowing reviews I was sure I would love this story but found myself too distracted from overuse of details that didn't pertain to the story. I kept wondering why certain details were included and who in the heck edited this thing! It harkens me back to junior high where our English teacher would have made dozens of red letter comments and strike throughs for such a long-winded attempt at story telling. I will be returning this one. I'm glad it has meant something to others I felt, like someone once said, "Inside every fat book is a skinny one crying to come out." Thanks for reading my less-than-glowing review. 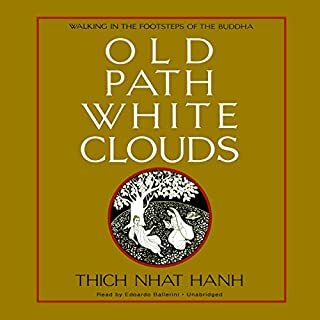 Beautiful and heartfelt which Thich Nhat Hanh is known for, I could not wait to hear the rest of it. This book was one that Amazon had on sale and I am grateful I purchased it, it is a beautiful gem that I will listen to over and over again. I thought the narration was a perfect match. Well done! Painful to listen to, do your research! 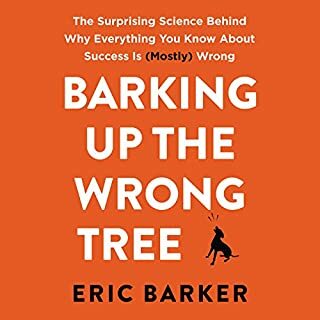 I was eager to listen to this book as someone online shared about it allegedly helping them with a health condition we both share. I couldn't bear listening to the poorly researched nutritional facts...among other outrageous advice besides the supplements where no side effects are addressed, the author suggests to cook vegetables "glistening in butter or extra virgin olive oil" and I wanted to gag! I stopped there and could not listen any longer. The author isn't licensed as a physician nor even has a degree in nutrition! I prefer Dr. Greger who, along with his team, read every article published articles from around the world that are written in English. His is a labor of love he doesn't even get paid for, offers free videos of his research as well as free monthly online Q & A.